When it comes to beautiful photography, time is of the essence. Waiting for the perfect shot takes patience and effort, and capturing incredible images is a true form of everyday magic. 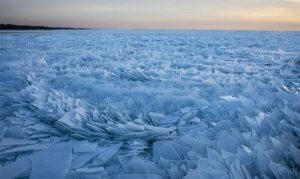 Once you’ve snapped that perfect image, the payoff is quite literally priceless. Pay close attention to these photos, as you may be surprised by what you see. Here, we see an unsuspecting squirrel leaning over a piece of mossy wood. By simply expanding the frame of the photo, a new image appears. 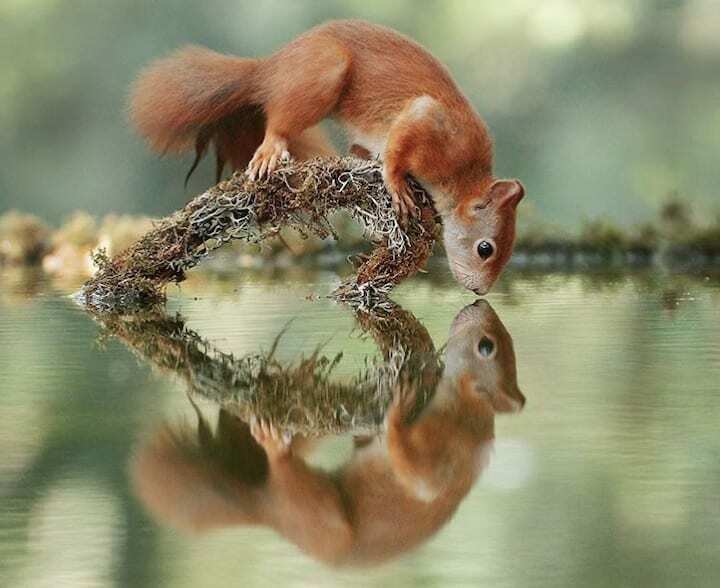 With the addition of the lake’s reflection, we now see an adorable heart and what appears to be two squirrels closing in on a tiny kiss. 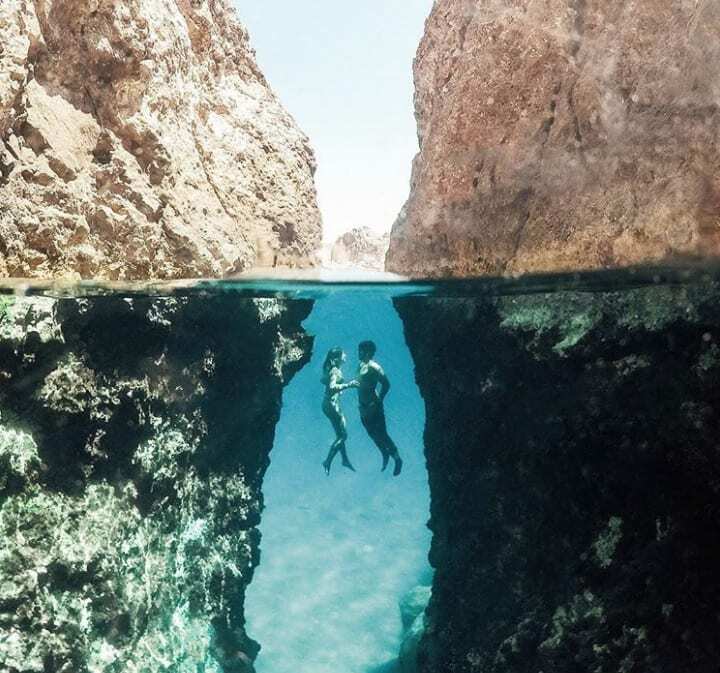 This underwater couple is the perfect example of the photographic technique known as “framing” at its finest. Framing refers to the art of using the existing elements in the scene to frame your subject. Here, we see the sea cliffs and the surface of the water frame the lovely couple, creating a very serene pleasing image. 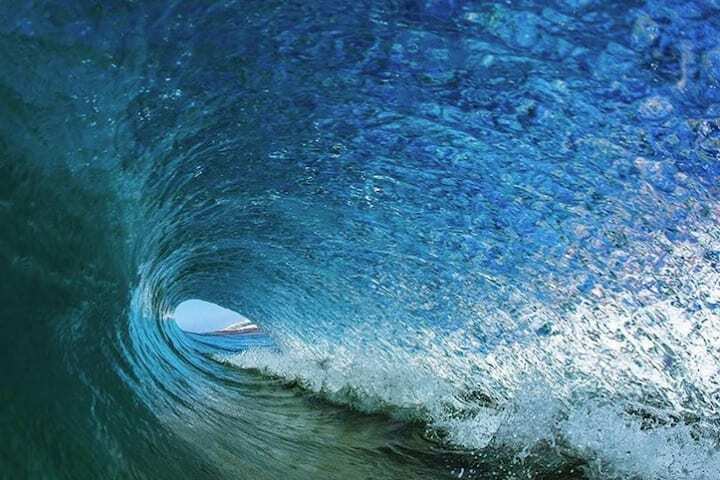 Before, only surfers would get this incredible view of the inside of a wave. Now, thanks to a dedicated photographer, you can get a glimpse, too. Matt Burgess, the photographer, had the patience to wait for the wave to overlap and create a wall of water while still maintaining the clear eye of the wave in the middle of the shot. To anyone else, the subject of this photo would be a regular striped mackerel. To a seasoned photographer or fisherman, the mackerel is so much more. 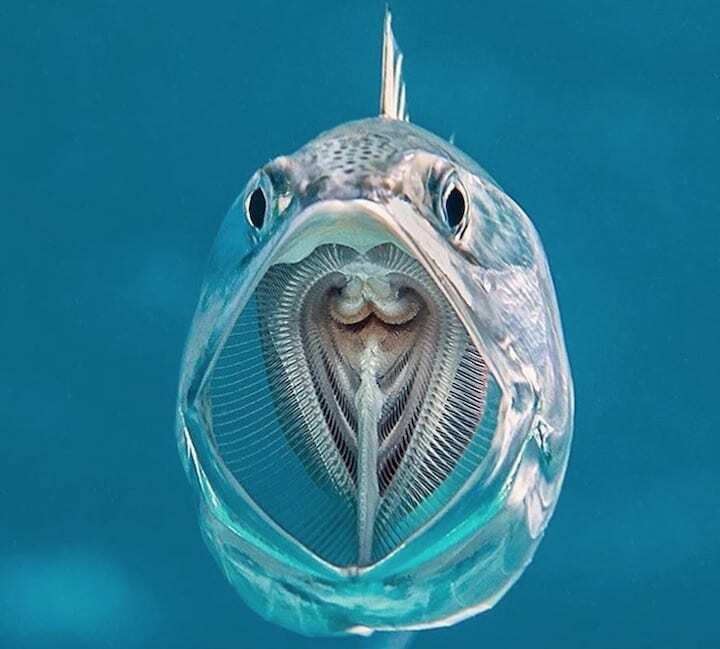 The fish’s gill rakers help it catch zooplankton, and they also provide for an especially striking image. Who knew gill rakers could be so visually intriguing. This magnificent volcano is putting on a dazzling show. What’s more, the photographer here had an obvious vision. 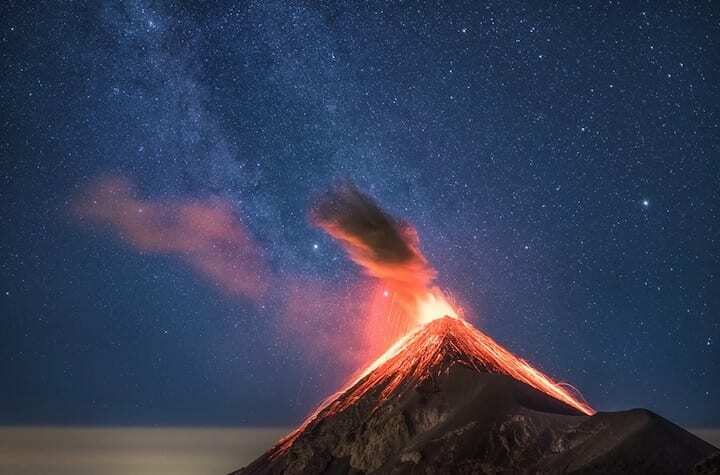 They angled the shot to capture the volcanic lava exploding into the sky, complemented by a backdrop of the glorious Milky Way Galaxy. This photo captured a uniquely brilliant moment in time.